Mira Devi Sindhi Old Classical Music Singer. She is most popular Sindhi Folk Music, Old Indian Sindhi Songs, Sindhi Cultural Music singer. She was an Old great Artist of Sindh and some Sindhi songs of Mira Devi was produced on All India Radio. She was best singer of Sindh, and she create great name in Sindh Music. She was very popular on All India Radio. Mira Devi sung in Sindhi, and generally performed "Baits" or "Waee" styles. The Baits or Kaafi style is vocal music low voice and high voice. 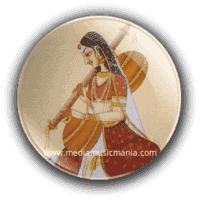 Sindhi Super Hit Folk Music played on Instrumental Music and songs are performed in a variety of ways using a string instrument is also known as Sindhi Filmi Songs, is found in the surrounding areas of Balochistan, Punjab, and Kutch Gujrat India. Mira Devi Sindhi sung some songs in Sindhi language the music compilations of Shah Jo Risalo by Hazrat Shah Abdul Latif Bhitai R.A including 30 Surs. Hazrat Sachal Sermast, Hazrat Bedal Faqeer R.A and others. Mira Devi sung Amar Geet "Udi Viayoon Kalh Qataroon Koojan Joo". Koonj "Demoiselle Crane" is Pardesi Pakhi and also her song Loli was sung with her sweet sound, she was legendary singer in Old Sindhi Cultural Songs. I have selected some most popular Amer Geets of Sindhi Music of Mira Devi.